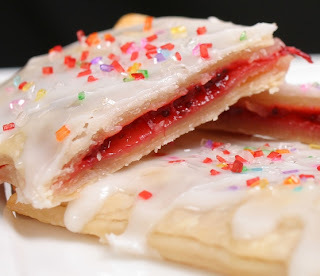 I always enjoy baking with the kids so the other day when we were snowed in Eben and I went through my sweet treat board on pinterest and he decided he wanted to make home made pop tarts from bake me more blog. The recipe was easy to follow but it is more complicated to do with little hands that wanted to help and of corse eat. 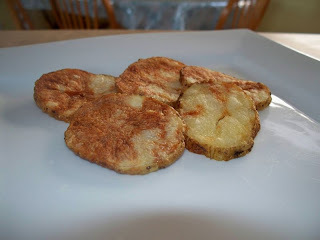 Here are my alterations to the recipe but for the original recipe or even how to make them with pre-made pie crust go here. Combine flour and salt in bowl. Add shortening and butter and blend with fork, pastry cutter or your fingers until mixture is fairly coarse. 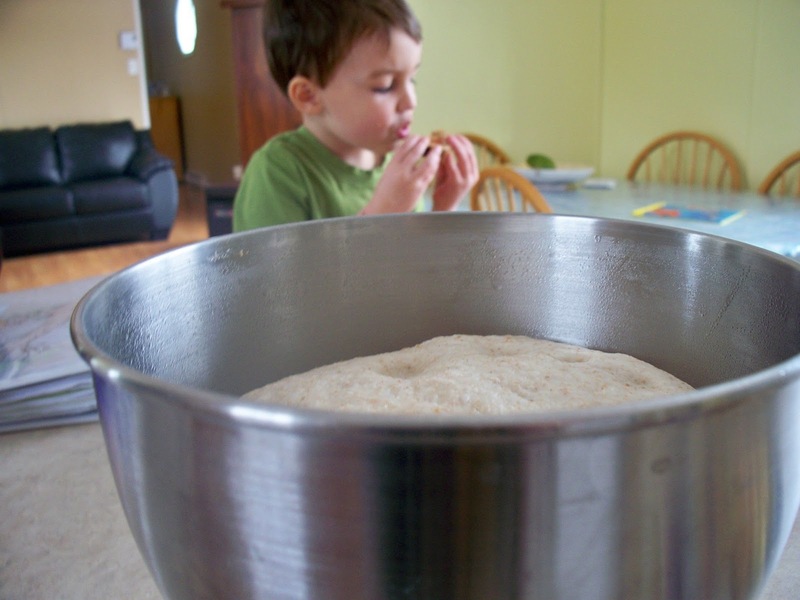 Add water, 1 tablespoon at a time, gently mixing dough after each addition until dough forms a ball. Place dough on a lightly floured surface and roll into a square/rectangle. 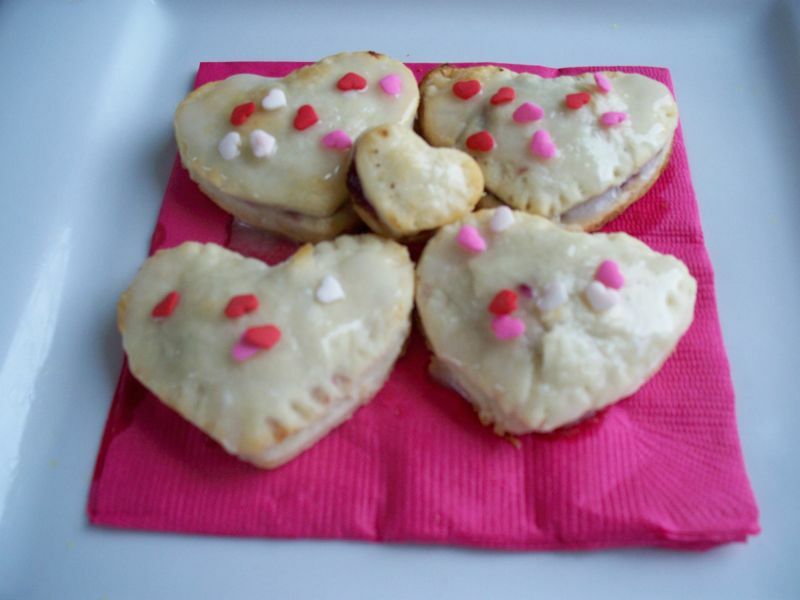 Using a heart shaped cookie cutter cut out shapes and repeat until you have no more dough. 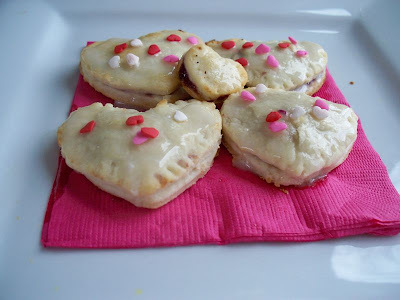 Take one pie crust heart, fill with a 1/2 tsp of jam. Cover with another piece of pie crust and crimp edges. Bake at 450F for abou7-8 minutes or until slightly brown. Set aside to cool. Once cooled, pour glaze on to Pop-tart and decorate with sparkling sugar. Some things to note. These were very yummy but next time they aren't a project to make with little helpers. I will stick to things like muffins, banana bread and cookies for when the kids are helping me. They were very good but it was pretty stressful trying to roll out pie crust when they just wanted to cut shapes and Lady J just wanted to eat it. So I will save these kinds of treats for nap time. I think they would be great to make in advance, freeze and bake in the morning. 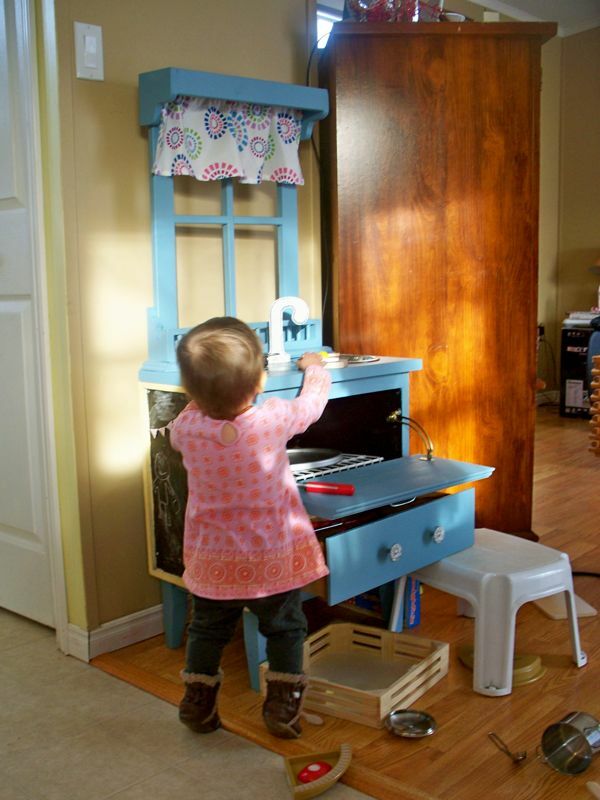 For more creative ideas jump on over to I heart nap time and check out what others are making this week. 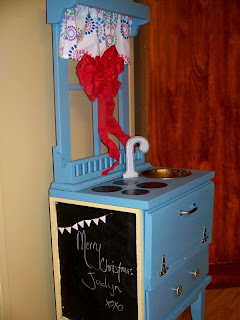 Hi readers today I want to show you some of my recent pinterest projects. These are project that I saw on pinterest and then created my own version. First I think many of you have seen the play kitchen that my parents and us (Micah and I) made for Jaelyn for Christmas. Here is the original pin I got the idea from. This little kitchen has created hours of entertainment for the two kids and even their friends who come over love to play with it as well. I knew from the first time I saw this pin that I would be making it for my husbands 30th birthday that just passed. 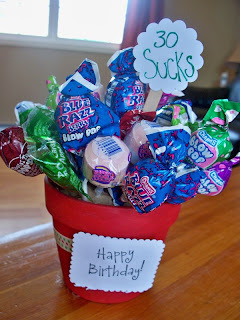 Eben and I had lots of fun picking out all the different suckers and it made a great center piece for his birthday. Here is my frist attempt to making potato chips in the microwave since we were Daniel fasting I figured we could still have potatoes, olive oil and salt. My second attempt was much better but of course I didn't get a picture to show you. Now if you know me you know I LOVE LOVE day!!! 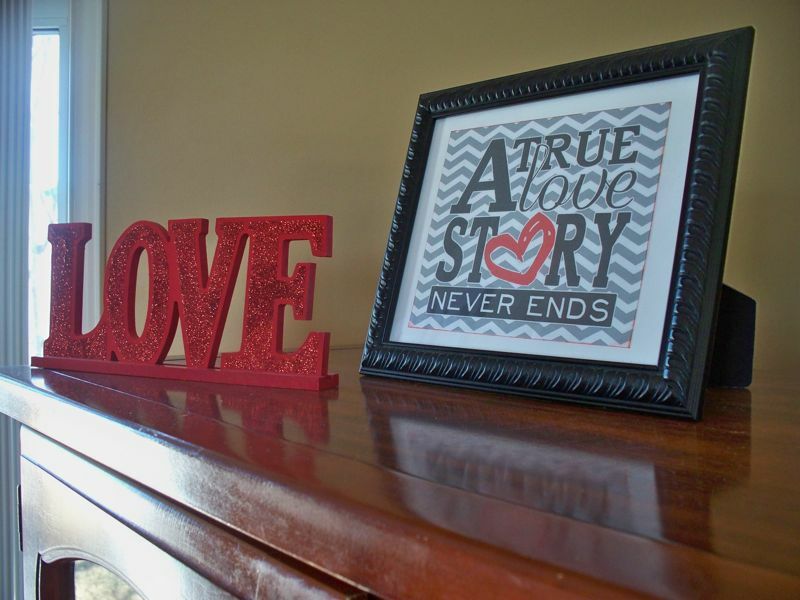 Here are a few post of previous valentines days in our house. This year we have lots of valentines crafts to do and create. Yesterday I made this picture...well I didn't really do anything besides put this printable in a pretty frame...oh and I inked the edges red to make it stand out. And last night while hubby was out I created this easy project. It was pretty cool that I had the same vase they used the only thing different about mine is my little light is red instead of white. 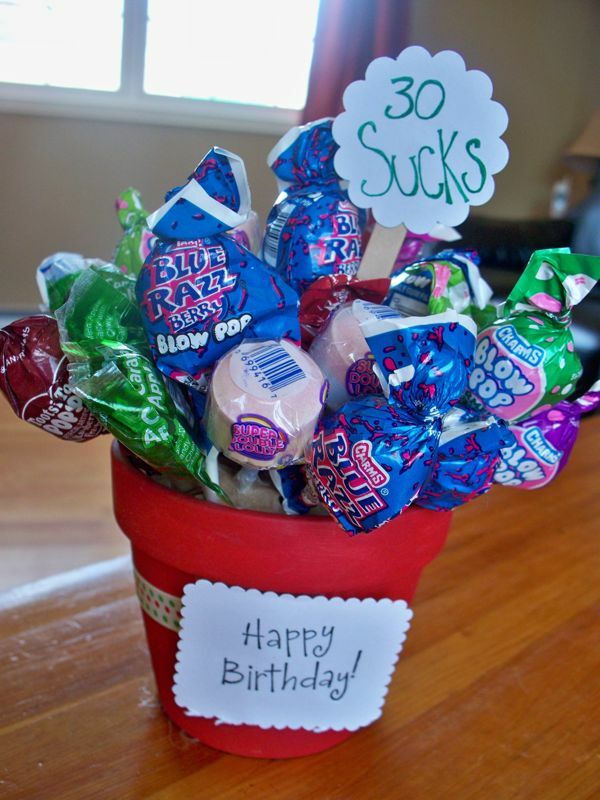 But I did pick it up at the dollar store which is sweet that this easy project only cost me $1.00. 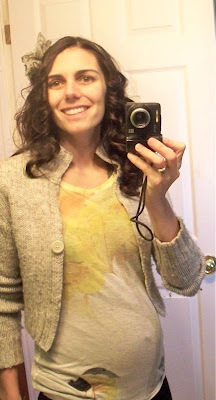 These are my no heat curls that I love to do at least once a week. Usually on a day that I am not going out of the house. I call them my house work curls. They help me get my house work done faster. There is something about feeling good that makes house work that much funner! So that is what I have been busy doing in all my mommy spare time! hehehe. I have a few more projects on the go that I will post about when I get them done. My family photo book came last week in the mail and I am so happy with how it turned out. 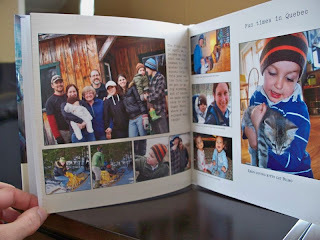 I really love doing a year in review book for our family to look back through and see all the fun adventures we had that year. 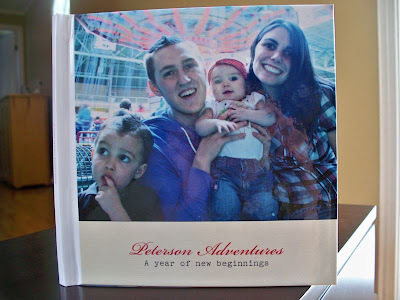 This year I called our book the year of New Beginnings. 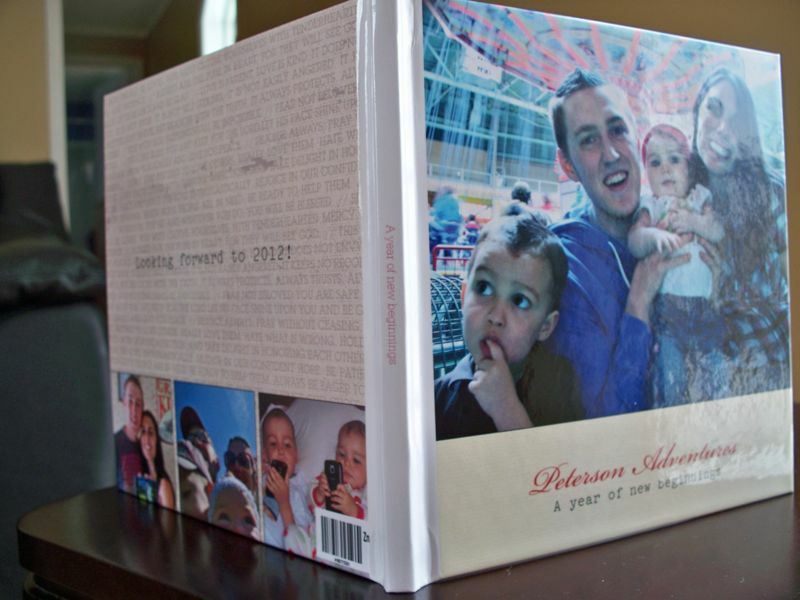 This book is an 8*8 21 page book that can hold a lot of pictures and is from Shutterfly. The cover is hard and I just love the picture on it. It was taken at an amusement park by our friend (the glare on it is only from the sun). Its a great picture of the fun to come. Here are some pages that are in the book. 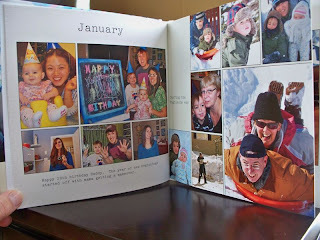 I took the book and did a month by month approcah highlighting some of the fun things we did. The back also has pictures on it and says we look forward to 2012!! I also love how you can put a title on the spine of the book that way when placed on a shelf we can tell which book is which. 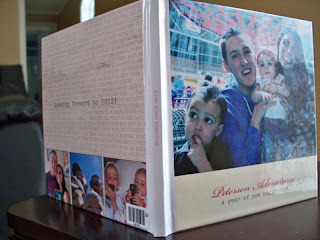 I have used some other photo book companies and I have been impressed with them! I do enjoy shutterfly for a few reasons. One is the story board you can create. So I can take all the pictures I want to use in my book and place them on a page in a story board layout. Then when I am ready to work on each page the pictures are already there waiting for me to edit them, move them and add text to the page. That way I am not digging through all the pictures trying to find which ones I wanted for that page. 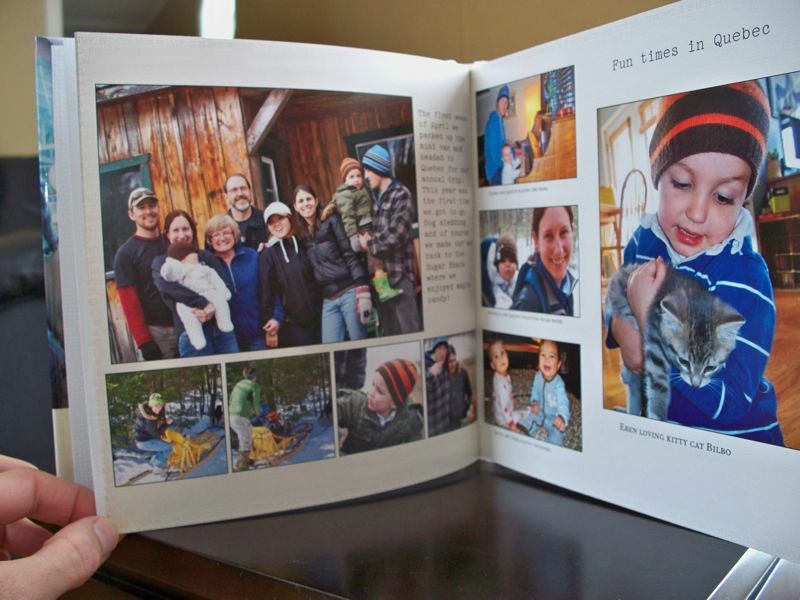 Some tips I have learned from making photo books is that in our iphoto (which is where all our photos go) we keep different albums. One is always labeled Shutterfly year end review with the date. That way when we have pictures we really like that we feel capture an adventure we put it into that album and at the end of the year we are ready to get started with our book. 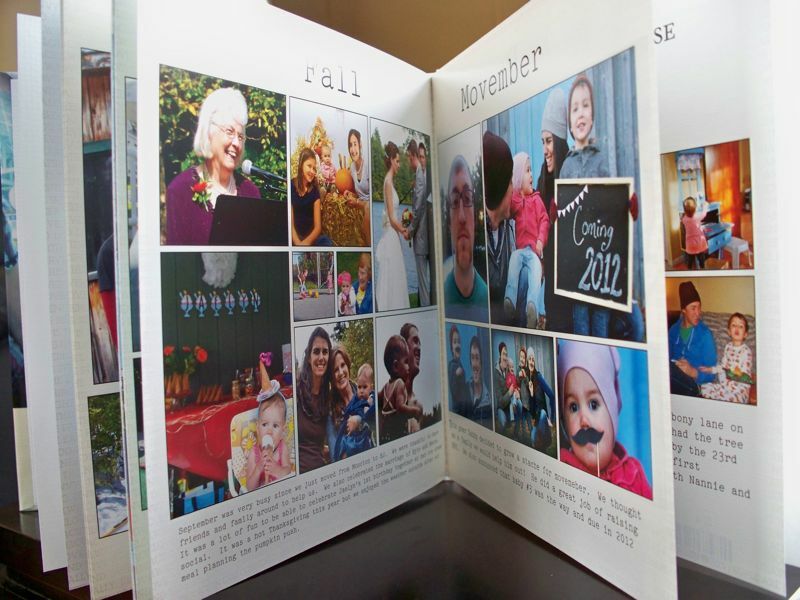 If we keep up with the album shorting it makes it so easy to throw a book together FAST if photo books are being offered for free or at a discounted price! 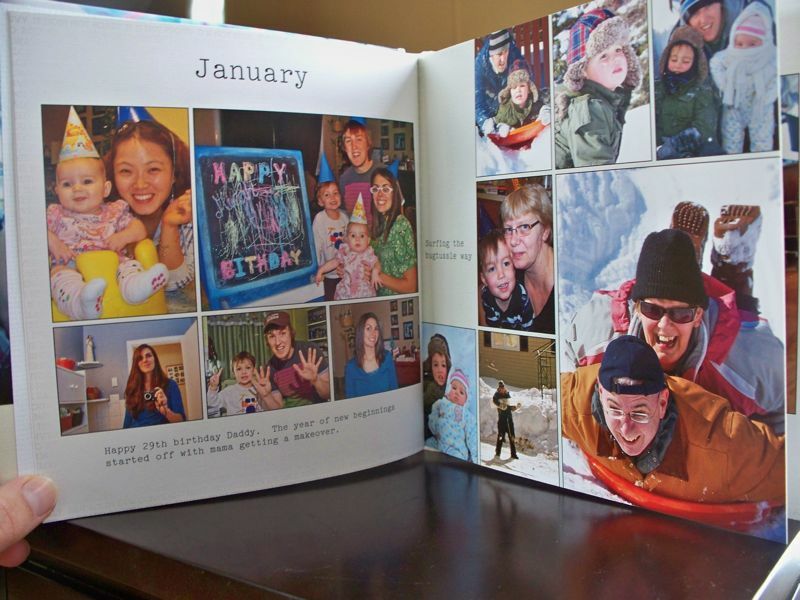 Hope you enjoyed and let me know if you have made any photo books or what your favorite companies are. I love pinterest. Mostly because its just so awesome and you can find some much cool stuff on there. Everything from homeschool stuff, to hair do's, cooking, decorating, scrap-booking and the list just goes on and on. One board that I have is a hair board cause I love doing different things with my hair. Here is one pin that I have tired before but didn't turn out as nice as it did this time. 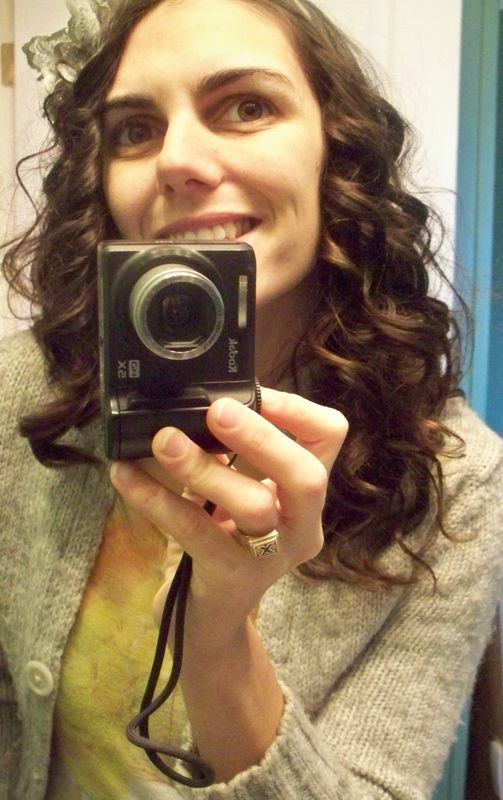 These are the no heat curls. Sorry I don't have any pictures of the process just the finished product. The curls stayed in all day. However the curls in the front where more formed and defined then the ones in the back. If you have tired them please send me a picture of how they turned out! So here we are week 2 of the Daniel fast. Last week we did so great and are really enjoying eating more fruits, veggies and nuts. So here are the groceries I picked up this week. Remember that we are including grains and dairy in our Daniel fast which usually isn't allowed but since I am preggo I am trying to get all my vitamins from food! You may notice some food items in our grocery order that don't fit in the fast...like the box of Chicken nuggets. Let me just say we won't be eating them this month but they were on sale for such a good price I couldn't pass them up so they are in the freezer. Also there are some boxes of Kraft Diner. I know its so bad but the kids really love it and eat it all up so I give it to them once a week. Since we try to stick to a tight budget and this month was a little different; moving into a new house and having to buy some stock up items I was trying to do the next 2 weeks on $70. 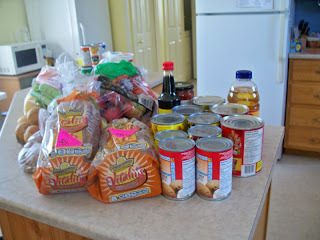 I am so pleased to tell you all these groceries this week were $45. That means I still have $25 for next week. 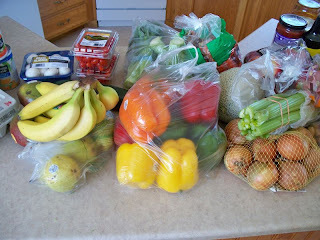 I think I can do that since I have all that we need now and will only get some fresh produce. I got all this for so cheap cause I used PC points. I love that master card. 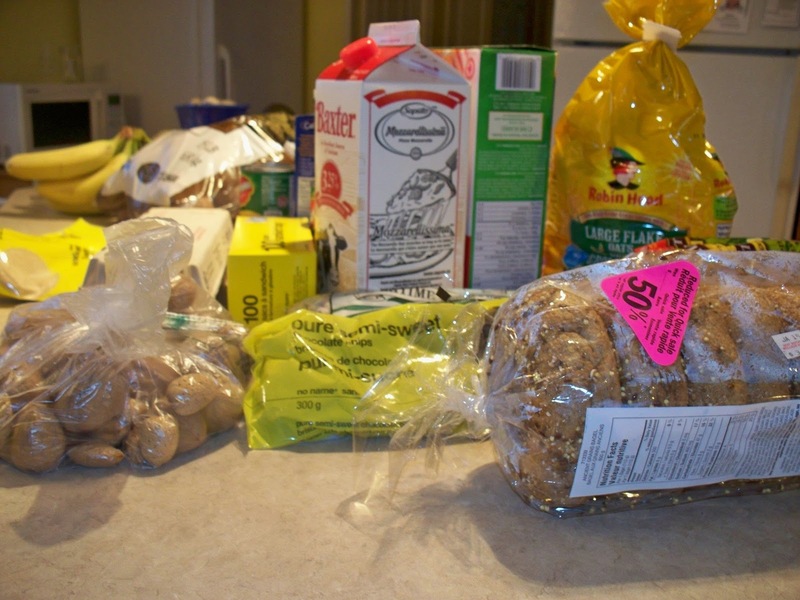 We collect points so fast and more points means more money off our grocery order. 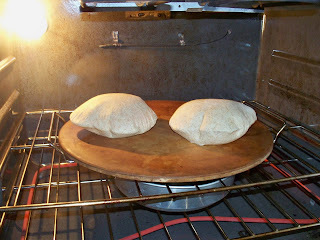 Once recipe I want to highlight this week is our homemade pita bread that we made. First off I want so say how much I LOVE my kitchen aid mixer. It did all the work for me and when it was done I just left it to raise well I was at moms space. I punched it down and made 10 balls and let them raise for 20 minutes or so. 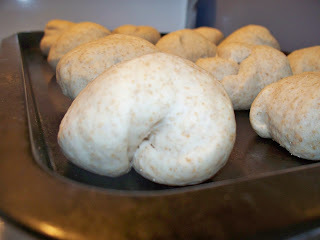 Then I rolled them out on a lightly floured surface and put them into the oven. Some tricks for getting them to puff. Always preheat the stone, keep the oven really hot, put a pan of water under the stone, roll dough thin and use a spray bottle and spray the stone in between pitas. There you have it and if you want the recipe go here. 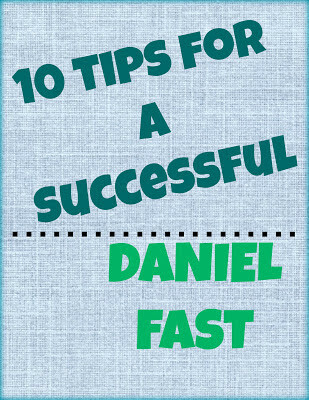 Welcome to week number 2 of the Daniel fast. So how are you all feeling?? Bloated, gassy, extremely full??? Well keep pushing through I think the body will get use to it all and don't forget to drink LOTS and LOTS of water. You will only feel worse if you don't consume liquid. We have been enjoying smoothies for our afternoon snack. The kids really love them and even last week Eben made us one all by himself. Here is one meal from our menu last week. The original recipe is from this website and I would encourage you to try it out. Also remember that we have included grains on our fast due to kids and pregnancy cravings! heheh. 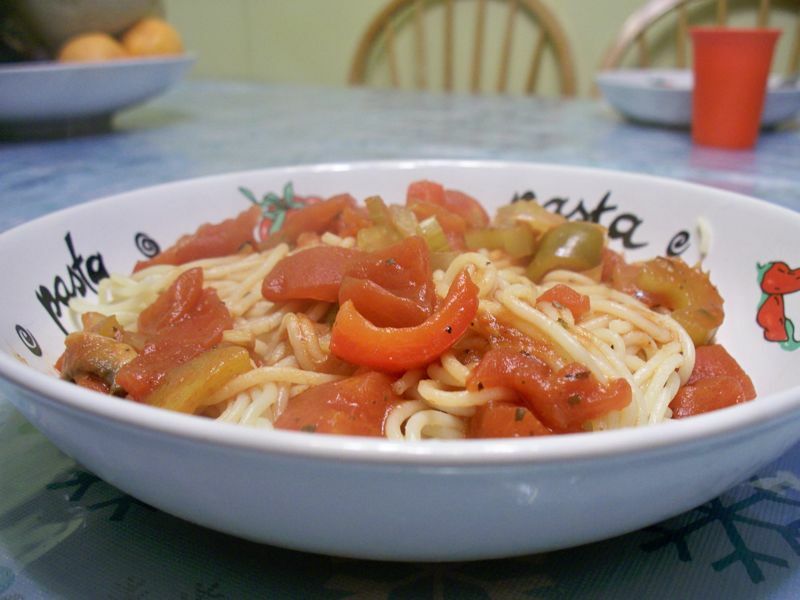 If you want some inspiration on meal ideas don't forget to check out my pinterest. Here is what I am hoping to be on the menu for this week. So I am taking a break from blogging about our Daniel fast only for the day to show you the play kitchen myself and my dad made for Jaelyn. First I found the idea to transform a night stand into a play kitchen from a blog somewhere out there in cyber space and pinned it to my DIY board on Pinterest. Now all I had to do was find the prefect dresser and ask my dad for some help. 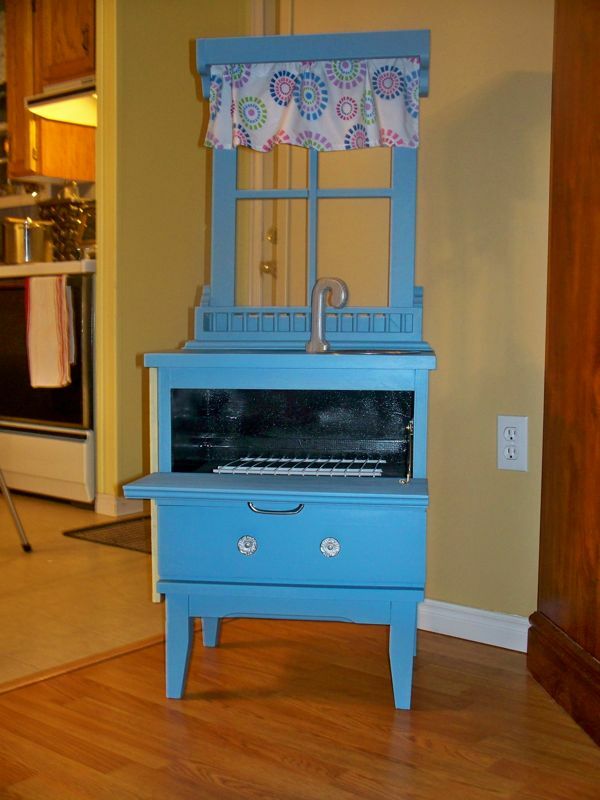 It was a busy summer so I didn't get out garage shopping as much as I would have like to but my super duper friend Elisabeth did and her and her husband found the PREFECT dresser for my project and purchased it for $5.00 !!!! I was so excited when she came over with it this summer. 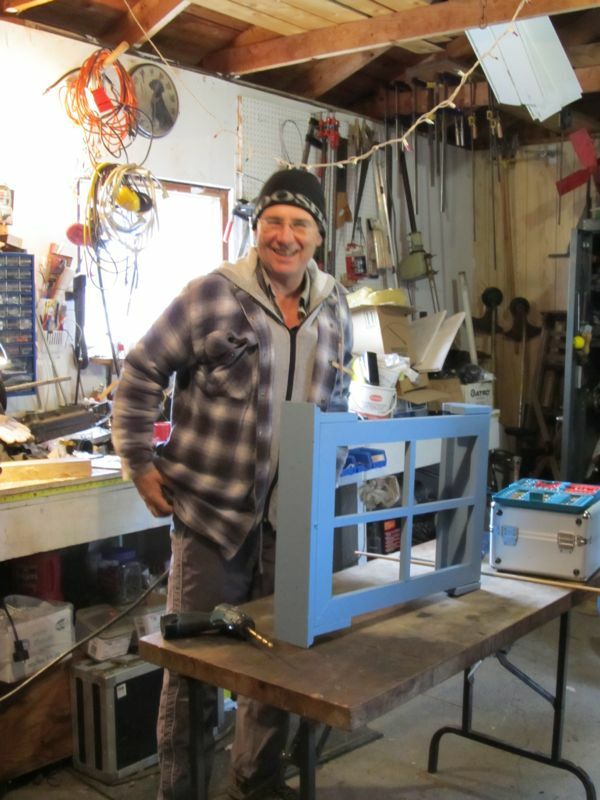 When November came around we took it down to my parents house or grampies workshop and got to work changing it around a little bit to make it work as a play kitchen. Here is the kitchen before and one of after. I don't know why I don't have a picture of what the dresser looked like when it was first bought. 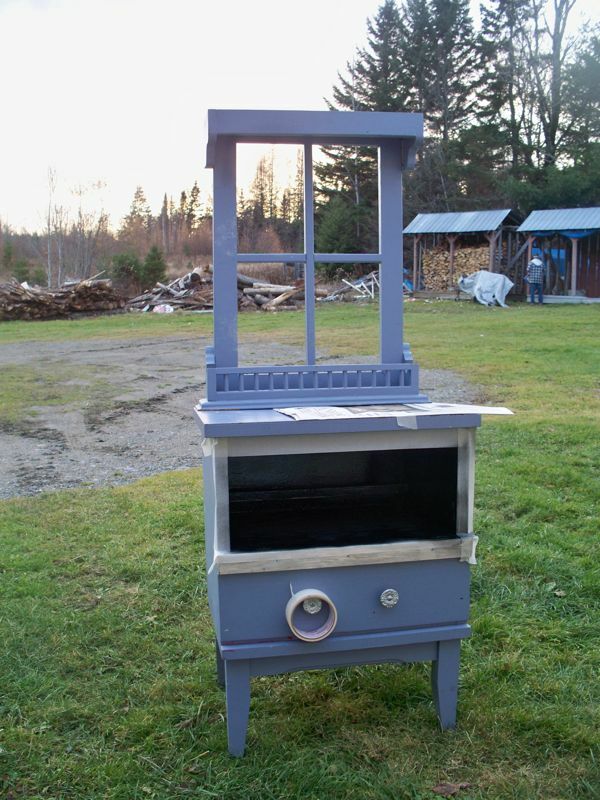 But the top part where the "oven" is was really the drawer and where the drawer is was an open space. I also don't know why a dresser would come with the top piece but it sure makes a great kitchen window. I really love the original color and wish it didn't have so many scratches on it but I think the new color looks fun as well; giving it a brighter look. For the sink I used an old bowl we had laying around the house. The faucet is a wooden J painted sliver and the stove elements are just painted on black circles. 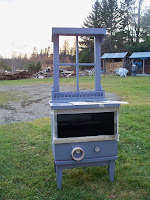 We also spray painted the inside of the oven black to make it look more real and my dad put in a little wire rack. The curtain was made from some scrap fabric my sister in law gave me and the chalk board that we put on the side came from the dollar store. So beside our (or my dads) hard work it was a fairly good priced Christmas gift. The most expensive part was the sets of wooden food we bought for it. But it has been worth it. Here is Jaelyn playing with it just a couple of days after Christmas. And its been fun watching different kids play with it when they have been over to our place. I couldn't be more happy with how it turned out! 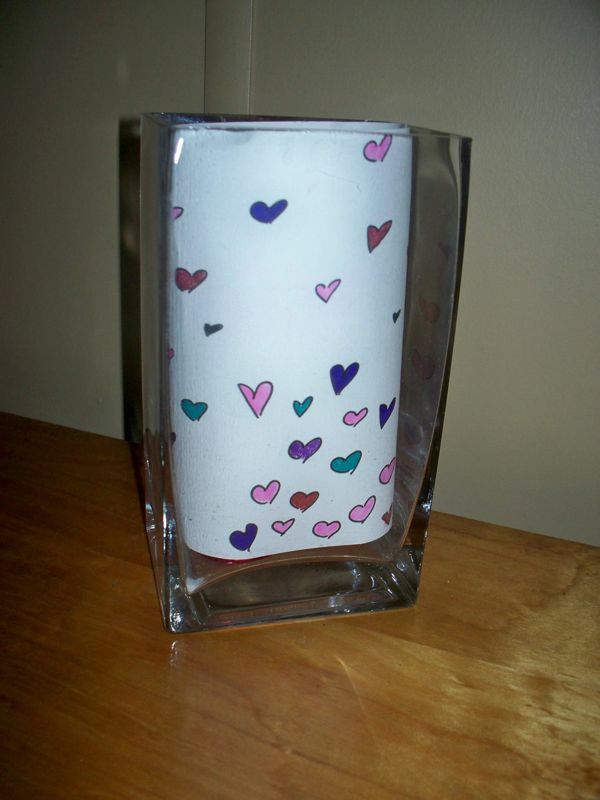 For more awesome craft ideas check out I heart nap time. Here is a little treat to share with you all today. 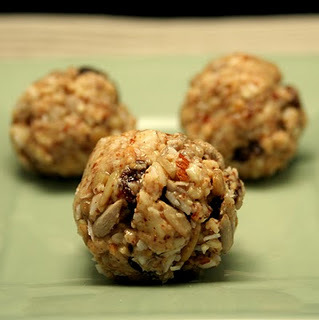 I made some of these up the other night to have around the house as snacks. They also came in so handy to take with us last night to small group. They are so delicious that you feel guilty for eating them on a fast but all the ingredients are part of the the Daniel. I hope you enjoy them. 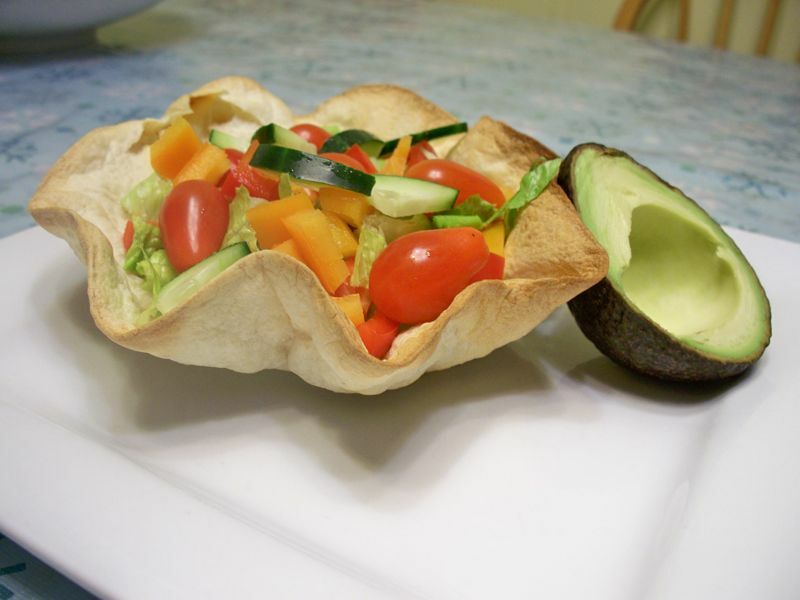 Mix all ingredients in a bowl until well combined. Use a 1/2 tablespoon measuring spoon or a large melon ball scoop to form mixture into small balls. 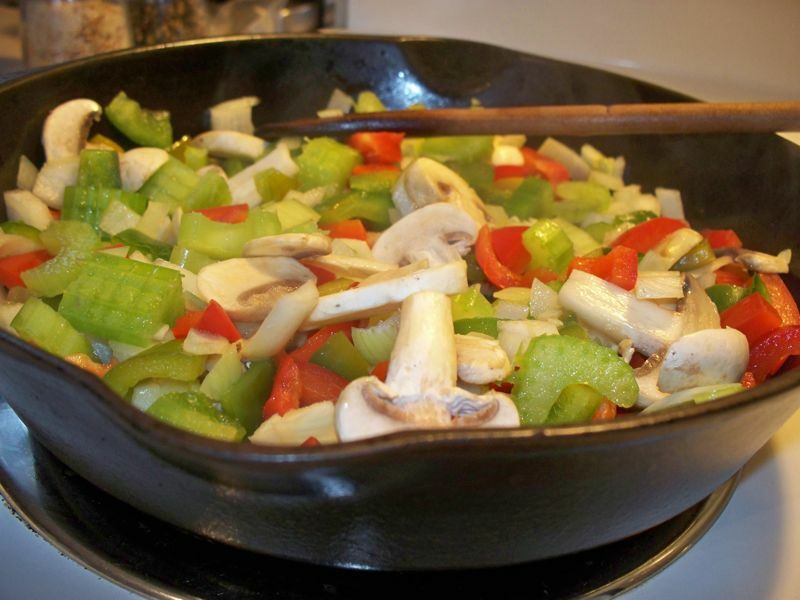 Place in an 8 by 8-inch baking dish, and freeze until firm. Serve frozen or just slightly thawed. Makes about 18.
and here is what I did instead because I didn't have al the ingredients. Instructions are the same as above. Hope you enjoy your treat today. Tonight for supper we have Taco Salad on the menu. So I will let you know how it turns out. So first let me start off by showing you a picture of last nights supper since I managed to get one during the cooking process....don't all the colors of those veggie look great! And another picture of the finished product. This was just what I was craving. 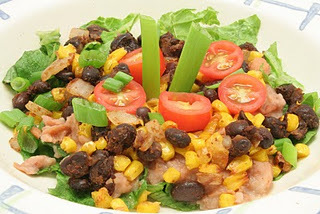 I thought the flavour was delicious and the veggies still had a crunch to them! So now onto something really cool about the fast. The fast isn't just about eating healthy and depriving ourselves of foods we enjoy but we are fasting with purpose. We really want to see God heal two of our friends who are young and suffering from Cancer so we are thinking about them and their families throughout the month but something else we are focusing on is a family mission statement. I had found this blog post many years back and copied it into our google docs but with each year we seem to get busy and don't get around to filling out the questions and putting together a mission statement. Then I have seen some of my other friends posting their family statements and thought that is awesome and as the kids get older we want to move in the same direction as a family so this year we will complete our statement by the end of this fast. I was able to find the original blog I found years back with all the same information on it to share with you readers. 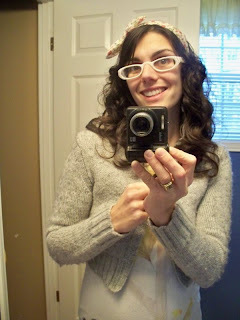 The Blog is called Simple Mom and the post is here. I have copied a few of the main points for you to read but I would encourage you to head over to her blog and check it out. I love one of her reasons why each family should have a mission statement. "All the canning, ironing, and meal planning in the world will matter a hill of beans if they’re done out of obligation, or accomplished aimlessly out of not knowing what to do next." So here is how we are starting our family statement. We are taking time in the next week to answer these questions. Plan an evening this week to sit down over tea as a couple, and answer a few questions. These questions are not comprehensive — feel free to elaborate on your own, to skip some that don’t seem to apply, and to focus on what’s important for your family. Mostly, these are meant to serve as a springboard to get your thoughts flowing. 13. What are the top four priorities we want our family to value? 14. What is the main purpose of our home? 15. What is the secondary purpose of our home? 16. What is the individual purpose in life of each member of our family? 17. 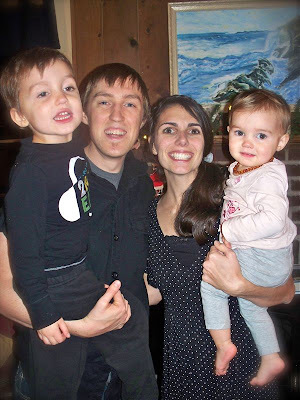 What is one way we are unique as a family? 19. Where are you as a family in 10 years? What does your home look like? 20. What is the purpose of life? So for this week and probably some of next week that is what we will be working on. I will post more as to how we put it all together to have our own statement but if you want to know more about that right now. Head over to her blog where she gives all the details. Yesterday was a big day in the Peterson house as we started our 21 day Daniel fast. 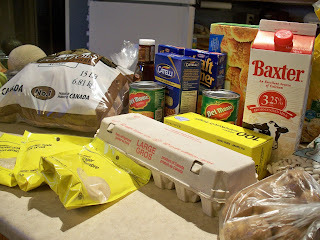 I had the no no food packed away, a meal plan made and a grocery list in hand as myself and the kids headed out to the grocery store. 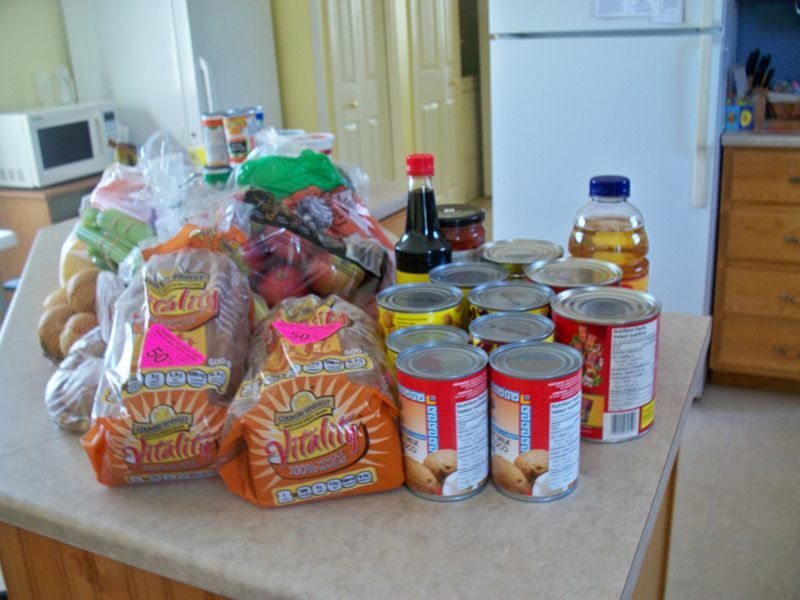 We were able to gets LOTS of fruits and vegetables, along with some whole wheat bread, natural yogurt, lentils and few cans of beans. I think with all these grocery's we will be able to do LOTS of the meal ideas I have pinned on my Daniel fast board. The great thing about meal planning is that you can look at all the different things you have planned and as long as you have the ingredients for it (because you made a grocery list and stuck to it) you can change your meal plan around according to what you are feeling that day. So last night we were suppose to have broccoli quiche well I changed my mind and we enjoyed a delicious red lentil soup. Tonight is suppose to be Mexican Salad but I am going to whip up a veggie Spaghetti using some of these yummy veggies I got. So this grocery bill was $100 and I am going to see if I can do the rest of the fast for $70 because I think I only need to get little things here and there. Lets see if I can budget and plan so I am able to do that. Something else we enjoyed yesterday was smoothies. I had a mango cut up in the fridge from Christmas that didn't smell to bad so I throw it in the blender along with a banana, yogurt, apple juice, and frozen blueberries. This was one of the BEST smoothies I have had. It had such a delicious mango taste. I guess I will have to let my mango's sit in the fridge more often to get that scrumptious taste. This morning for breakfast we enjoyed a new baked oatmeal recipe from this website. 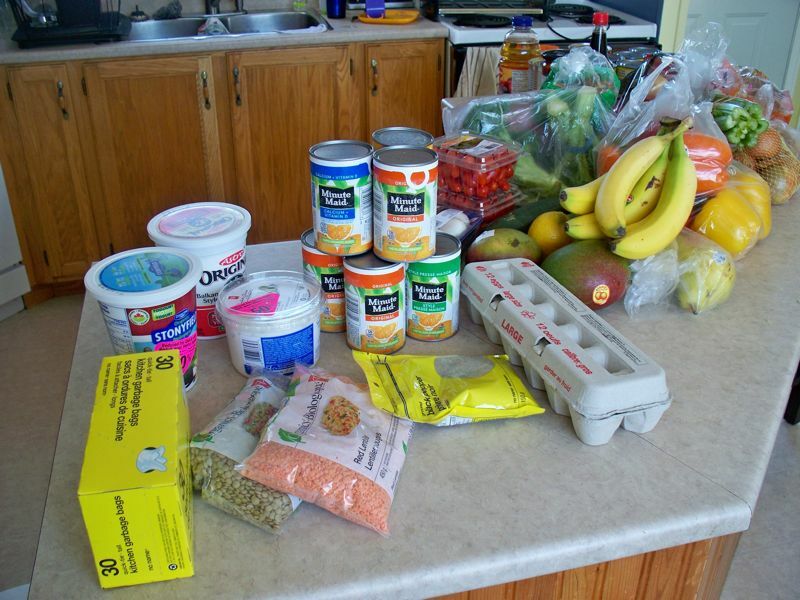 She has a lot of great Daniel fast recipes as well. We enjoyed the oatmeal even though it was different from what we are use to the kids really ate it up with blueberries and yogurt on theirs. One thing I am finding so helpful is that I have the lettuce all cut up in the fridge for salads so they are easier to grab. 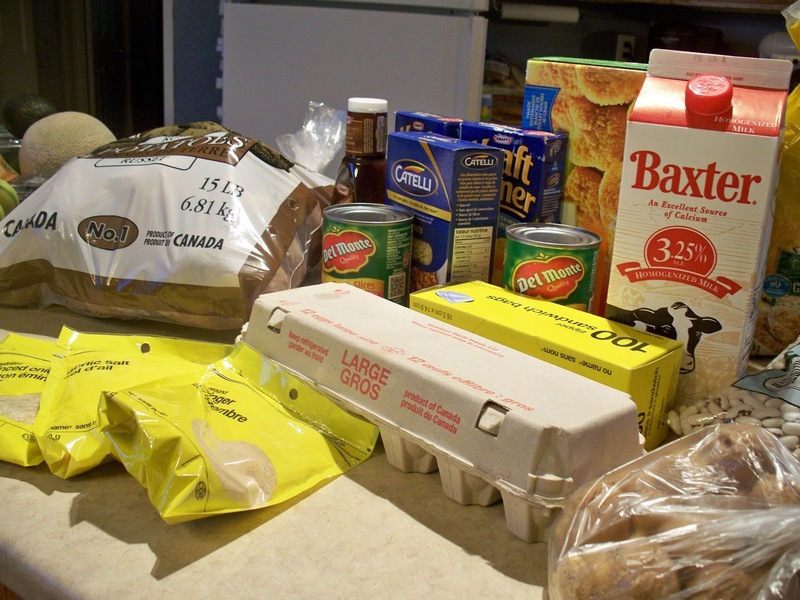 It seems if we have things prepared we are more likely to eat it cause it doesn't feel like too much work. We also have a large fruit bowl out on the table. If we see it we are more likely to eat it. And I bought some mixed nuts (the ones in the shells) yesterday as well since they are going on clearance now that the Christmas season is over. This makes a great snack as well so we have those on the counter. One thing we have done is switched to natural peanut butter so we have lots of celery sticks, carrot sticks and apples ready for the dipping! If you find the peanut butter is a little too hard you can also heat it up a little bit in the microwave. It helps make it a smooth and creamy dip that we really enjoy. Well I am off to cut up the veggies for my spaghetti tonight! Let me know how your fast is working out. So its that time again when our family takes the month of January (not the whole month since we aren't starting until Monday) to take part in a Daniel fast. This all started a couple of years ago when the church we were attending challenged us (the congregation) to participant. Ever since our family has taken the month to do some kind of Daniel fast. 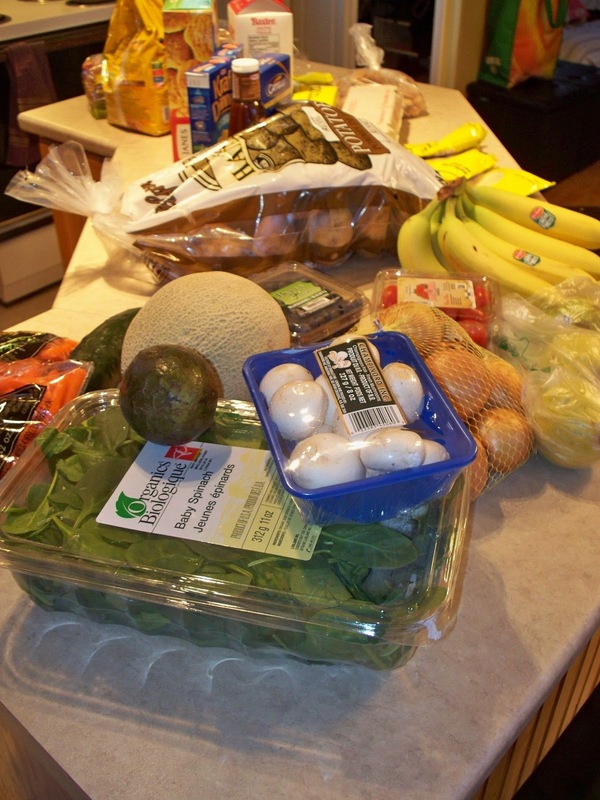 Here is some information about a true Daniel fast. All nuts & seeds - almonds, cashews, macadamia nuts, peanuts, pecans, pine nuts, walnuts, pumpkin seeds, sesame seeds, and sunflower seeds. Nut butters are also included. Other - herbs, spices, salt, pepper, seasonings, soy products, and tofu. So those are the basic guidelines but because I am pregnant and have 2 small children at home we still allow dairy (milk, eggs, cheese and yogurt) during this time and also whole wheat grains such as bread and tortillas. I do not however cook recipes with cheese in them its only for a snack. And we do our very best to stay away from all things processed. And we don't eat any baked goods during this month or things we would enjoy such as muffins and sweet breads. So with those basic guidelines to follow tonight I am packing up all junk food and processed food and packing them away for the next 21 days. The first day (or 3 I should say) is usually the hardest as our body try's to adjust to a new way. But there are so many advantages to doing this type of fast. For one where we live the weather is very cold and this time of year people are always fighting off colds and viruses. What people don't always know is that viruses feed off of sugar so when we cut out that you may find that you feel healthier. Another good thing is your focus changes and so does your taste buds. As you change over the next 21 days it's like our body doesn't crave those things anymore. Last year after doing our fast we stayed away from chips and pop for almost 6 months. Of course when the summer came they become staples to accompany BBQ foods. For snack ideas we are doing lots of fruit, vegetables and nuts. 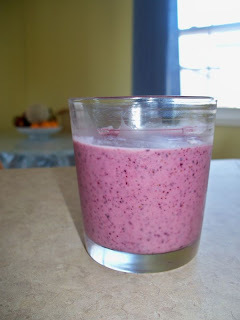 I think for breakfast I will do smoothies made with fruit (or spinach) and greek yogurt.